I am somewhat lost here and maybe some one can help: I have the GroovyPlug plugin installed properly (at least it works perfectly fine for build read/write locks), but I want to use its 'system.build.start.date' in labels that are applied to the sources after a successful build. What exactly do I have to put in the 'Labeling pattern:' field under a config's VCS Settings tab in order to get labels in the format of 'abc-06-08-2010'? With labeling pattern like "abc-%system.build.start.date%" you should be able to get the date into the label but in different format. and run a new build to see how it works. If you define a property with value "%system.build.start.date%", does it get correct value in the build (you will probably need to dump properties in the build to see the value)? * Copyright 2000-2009 JetBrains s.r.o. So why is no date appended? > So why is no date appended? Because you've created a property with the same name. I meant _value_, not _name_. 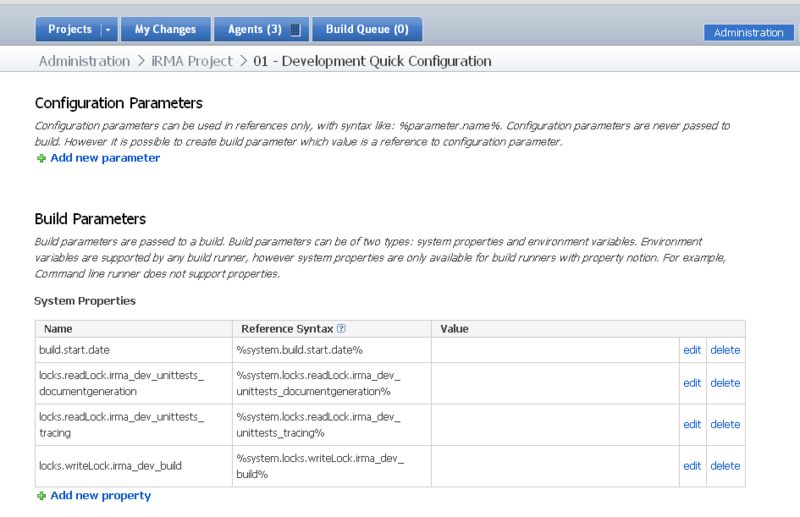 Please remove "build.start.date" property from the Parameters section of the build configuration web UI. You can add "test" property then set it to %system.build.start.date% and check what the value is inside the build script. ok I removed the old one and created a new one named 'BuildDate' (see below), used that in the VCS setting (see 2nd picture), but now when triggering a build i get the message saying 'Warning: No enabled compatible agents for this build configuration. 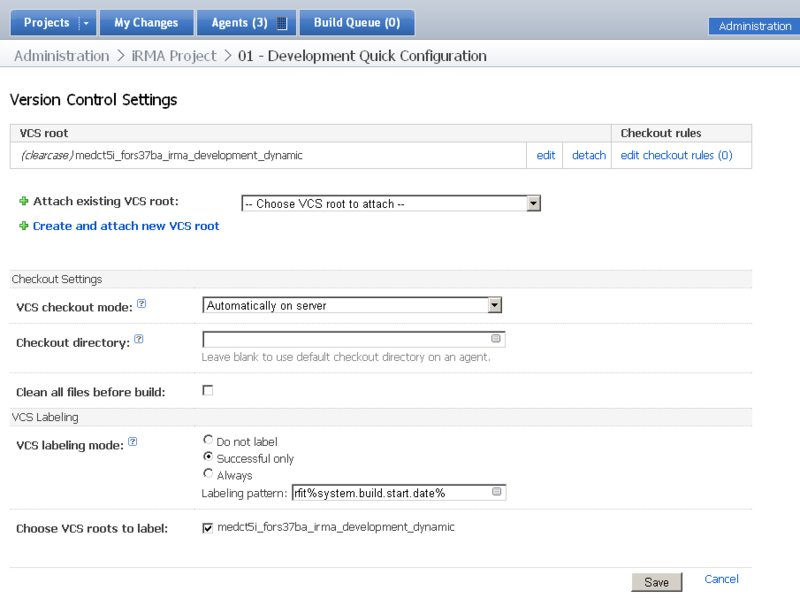 Please register a build agent or tweak build configuration requirements.'? You can see why the build configuration is considered not compatible on the Agent Requirements tab. So far looks like an issue with groovyPlug plugin installation. Can you make sure you have the plugin unmodified by backuping/deleting .BuildServer\config\__groovyPlug__ directory and reinstalling the plugin from the most recent version? Cannot reproduce this so far. into conf\teamcity-server-log4j.xml file and restart the server. If you cannot figure out what is wrong, please attach the full logs.